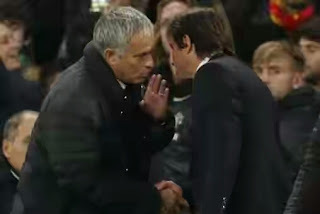 The Portuguese went straight to Conte at the final whistle and spent several seconds talking into his ear. 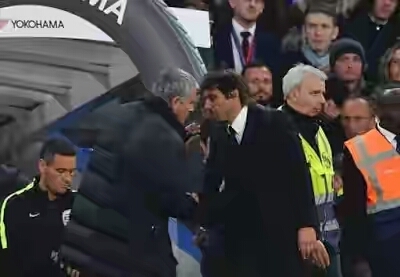 British papers reported that the ill-feeling spilled into the tunnel where a member of Mourinho’s staff refused a handshake from Conte, while others were involved in verbal disputes. Chelsea’s manager denied that he had tried to humiliate United. “There has always been respect for all, and naturally for Manchester United,” said Conte.